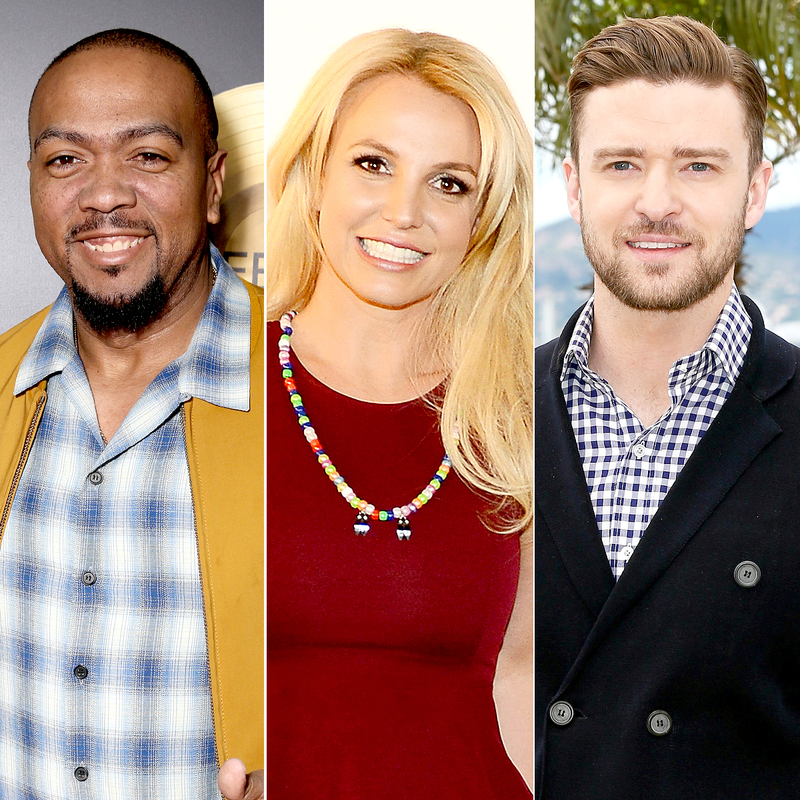 Did Timbaland Confirm a Britney Spears, Justin Timberlake Collab? Did Timbaland Just Confirm a Britney Spears and Justin Timberlake Collaboration Is ‘Coming’? We’re not worthy! Timbaland allegedly confirmed longstanding rumors that exes Britney Spears and Justin Timberlake collaborated on a new song together, according to the hosts behind the Pop University podcast. The hitmaker first sparked collaboration rumors in April when he liked several photos of Spears, 35, and Timberlake, 36, on Instagram shortly after hitting the recording studio with the “Mirrors” crooner and fellow producers Pharrell Williams, Danja and Chad Hugo. Around the same time, eagle-eyed fans noticed that Timberlake’s mother, Lynn Harless, began following Spears and several of the pop princess’ family members on Instagram, in addition to liking throwback photos of the former couple, who dated from 1999 to 2002. Timberlake and Timbaland have worked together on several tracks in the past, including 2002’s “Cry Me a River,” which featured a Spears look-alike in the music video.